I was approached by Robinson's representative earlier this fall, asking whether they could use my photography in their Christmas marketing. Due to the kind request (where as 90% websites simply use your pictures without consent) and the fact that Robinson's is one of those traditional stores that offers a wide selection of quality shoes I was happy to allow this. 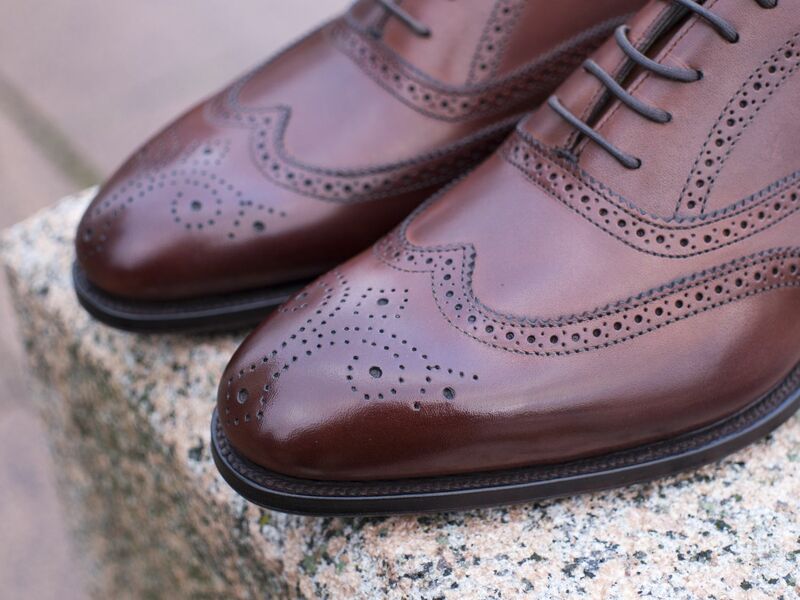 The physical Robinson's store is located in Northern Ireland in Carrickfergus, where they offer a selection of made in England handmade shoes as well as a bespoke shoe service. However, the majority of company's business already happens through their webstore that offers worldwide free shipping and simply terrific customer service. In addition to Alfred Sargent, Robinson's offers such brands as Loake, Barker and their own signature line that offers some great models such as this one. 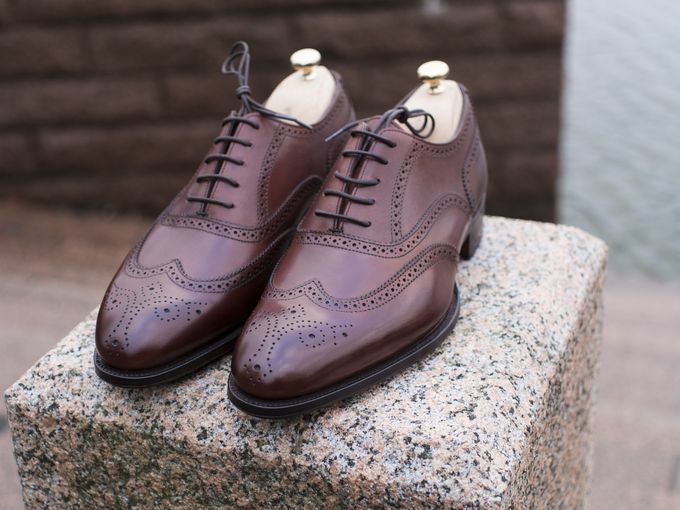 After an interesting dialogue regarding their services and selection of shoes, I also decided to purchase a pair of Alfred Sargent Hunts from their store. After a few years of slightly disliking the classic full brogue oxford model it started to slowly grow on me once again. Come summer, I was already starting to consider which brand and model to invest in. As pair of Alfred Sargents in the 109 last were already my favorite pair I always considered the Hunt to be one of my top options. During the busy autumn season the buying process wasn't the first thing on my mind, but as I was scrolling through Robinson's selection and saw my favorite model on the menu I finally decided to pull the trigger. So, why go for the full brogue? Firstly, I personally see a sleek dark brown full brogue as a great option to use with a variety of suits, especially with heavier fall/winter grade fabrics (think navy flannel + these Hunts). 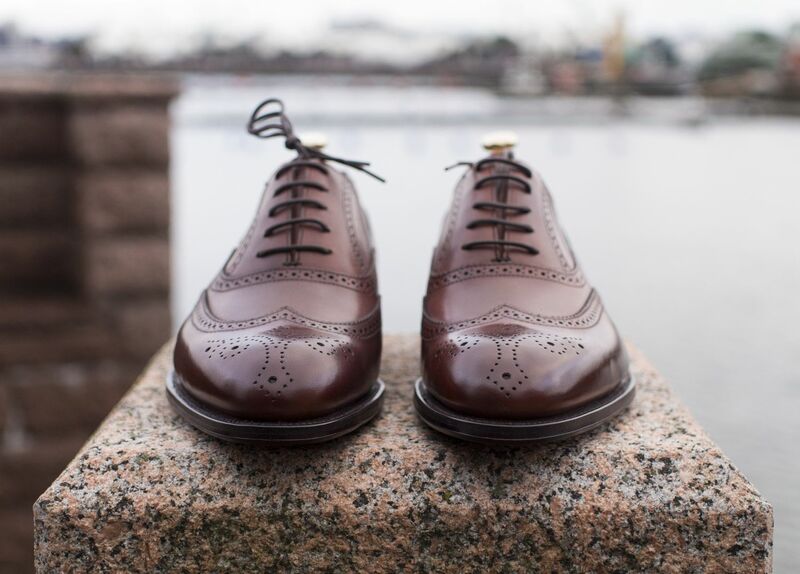 Secondly, the model itself has a lot more sleekness to it than a regular semi brogue in my opinion. 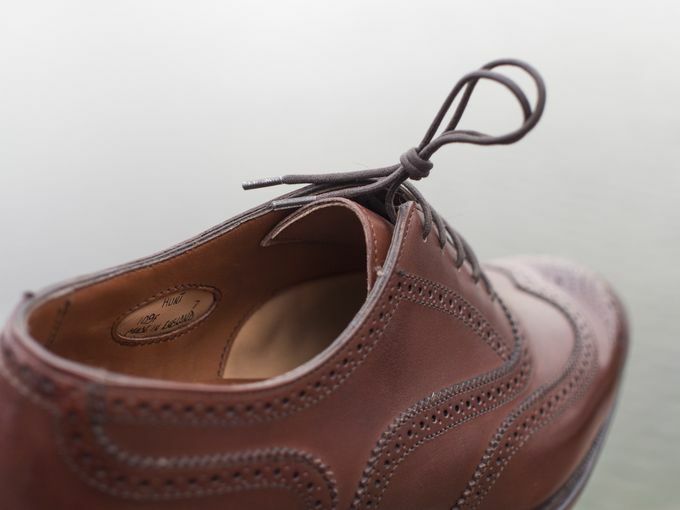 The wingtip shape sort of flows along the shoe instead of being one perpendicular line. 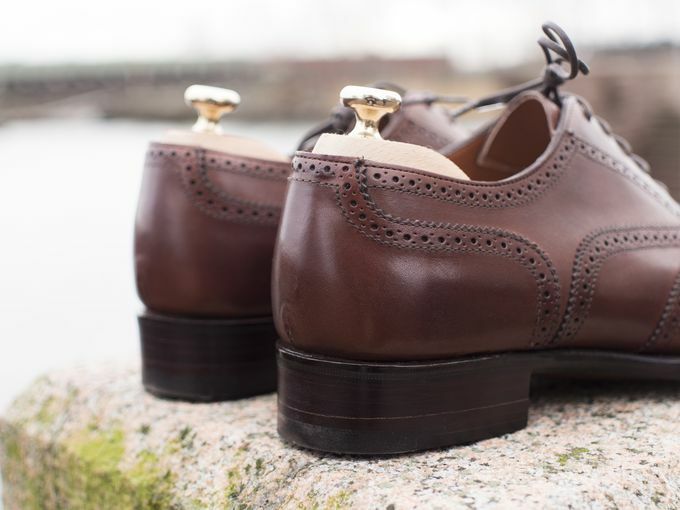 Lastly, the brogue details have some of that drama you want when you go all Wall Street with your outfit. 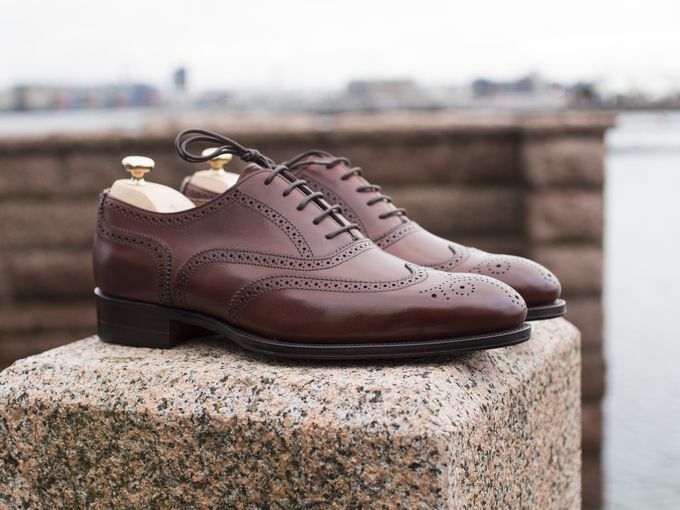 When the shoe is as refined and beautifully finished as the Hunt, there's no danger in looking like your grandad in his "country uniform". The toe and heel details. When comparing these to my existing 109 last pair, I'd say the shape feels a little bit stronger and a bit more refined, elegant, in the Hunts. The mahogany color is vivid and has immense depth to it. I've added a couple of layers of Saphir's brown wax to add a little shine to them before taking these photos, other than that they are in box fresh condition. As you would expect, all the little details, every seam and every piece of leather has been perfectly crafted or cut. 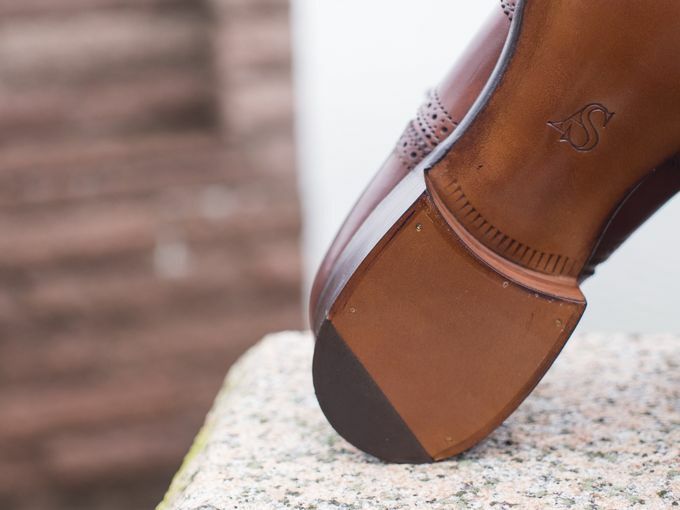 The shoes also feature oak bark tanned soles, a mark of true quality. 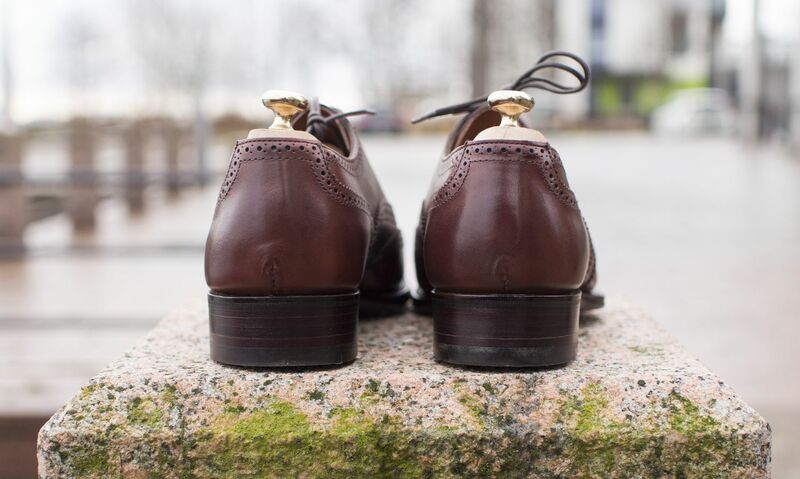 The soles have also been wonderfully finished and shaped, helping to create that narrow waist look that we so love in the premium shoes. 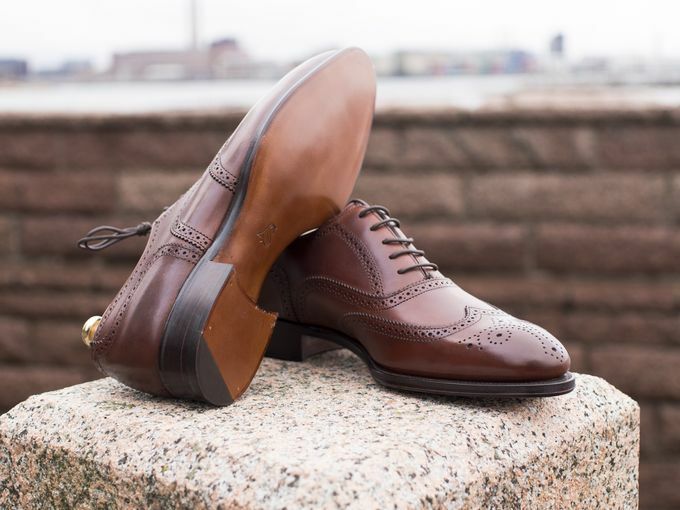 All in all, a true killer pair of shoes that offers pretty good value for money when in you're shopping for the best-looking full brogue shoes the market has to offer.